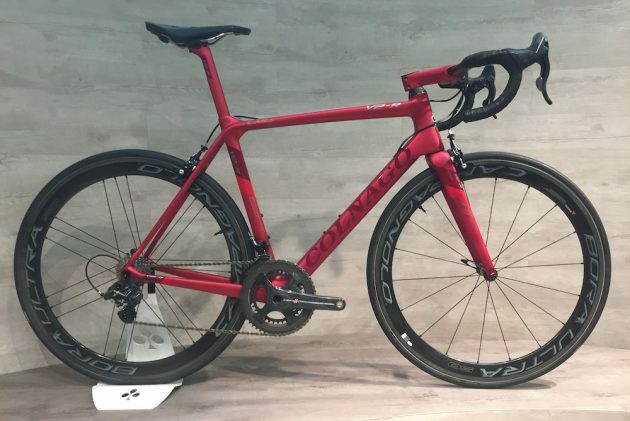 Giordano is an excellent brand for mid-priced road bikes for the entry level rider. The Libero 1.6 Men’s Road Bike is an excellent cycle that offers a better quality than other cheaper, beginner models. For a reasonable price under $500, this model offers a lightweight, reliable, and comfortable ride for road biking, exercise, racing, and entertainment. Coming in an attractive Black and Red color scheme, you can purchase this bike in Small, Medium, and Large sizes for the perfect fit for you. All sizes cost the same at only $449.99. This classic road bike by Giordano has been improved and is better than ever. 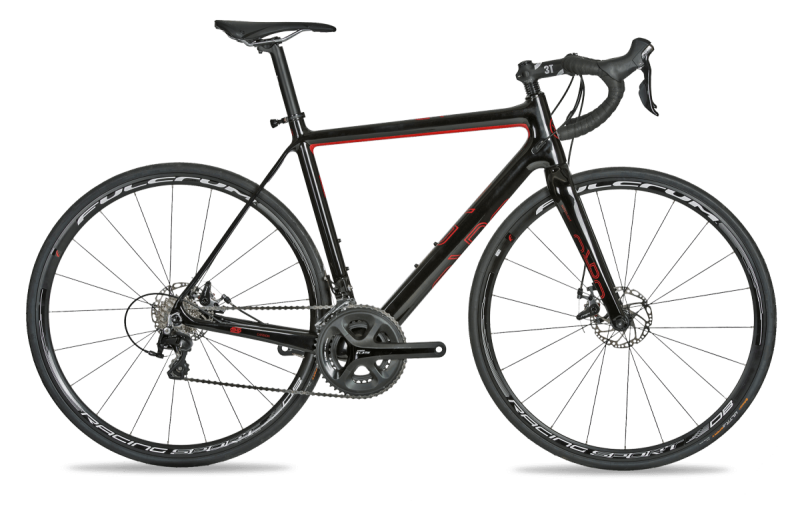 This model has been well thought out for road use for roadie fitness buffs, casual riders, and those who want a little better quality than entry-level cycles. Available in Men’s Small, Medium, and Large, this attractive and solid bike is the perfect choice for an affordable cycle to use for a multitude of entertainment options. Small: Fits riders 5 feet 1 inch to 5 feet 8 inches tall, with an inseam of 28-30 inches. The seat tube is 49 cm measured center of BB to top of the top tube. Weight is 26 pounds. Medium: Fits riders 5 feet 8 inches to 6 feet tall, with an inseam of 30-32 inches. The seat tube is 56.5 cm measured center of BB to top of the top tube. Weight is 26.05 pounds. Large: Fits riders 6 feet 2 inches to 6 feet 5 inches tall, with an inseam of 33-35 inches. The seat tube is 61 cm measured center of BB to top of the top tube. Weight is 29.7 pounds. The bike itself is very attractive and designed well. It is comfortable and lightweight for those interested in serious training and easy hauling. The 16 Speed Shimano Claris STI shifters are great, simple to use, and shift with ease. They are quick as lightening and work great, which a lot of models cannot boast. The derailleurs work nearly perfectly right out of the box, even before a tune up. The cranks are also of higher quality. The handle bar tape is higher quality than others, although the tape is white and does get dirty a bit quicker. Included in your purchase is a kickstand, which is worth using. The wheel rims, which are all too often inferior, are definitely of better quality than the Vilano Shadow, for example. The differences between these two models is price and quality–as a better quality bike, you get your money’s worth with Giordano’s increased quality is not compromised. 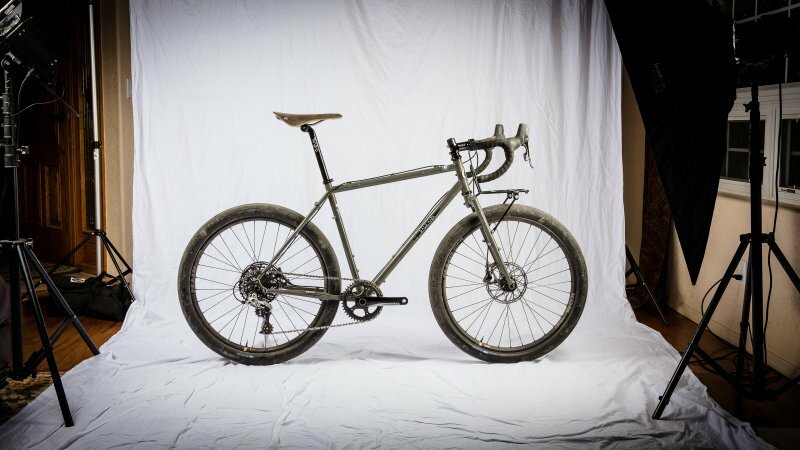 While some bikes use aluminum frames to cut down on costs, this model’s aluminum frame is hand-crafted and of good quality. It is lightweight and strong enough to handle extensive road use. The brakes are par for the course for an entry level bike. According to many reviews, they are not great–it may be wise to invest in upgraded brakes. You will need a good 2 to 5 feet of clearance to come to a stop at full speed with these. This is because the pads are a bit spongy and that decreases their stopping power. However, brakes are cheap and you can find them at your local big box store for just a few bucks. If you are new to bike riding, it is recommended that if you wish to upgrade the brakes, that you have them installed at a local bike shop. The wheels may need plenty of trueing, especially the front wheel. This is another reason why it is important to take your bike for a tune up before use. That way, it can be assembled correctly, and any components or parts that you want to upgrade, can be done in-shop. This bike is not only attractive and a great style for road use, but it is a great value for the money. The materials are of much better quality than cheaper models. While the brakes leave something to be desired, the gears and shifters are of great quality and work like a dream. You can ride this bike for fitness, entertainment, a ride around the neighborhood, racing, commuting, climbing, and other uses. It is a great versatile road bike. The three sizes this Men’s bike come in, offer an excellent range for men from 5 feet 1 inch in height to 6 feet 5 inches tall. You are virtually guaranteed to find the perfect size for you. Details on height, inseam, and recommended size is available at the beginning of this review. The tubes are very solid and the tires are reliable and work in any weather conditions. They are standard stock, so if you wish to upgrade based on personal preference, you can, but it is not necessary. This Giordano model is surprisingly excellent out of the box. While it performs best after a tune up, the shifters, gears, seat, tires, and other components work really great. 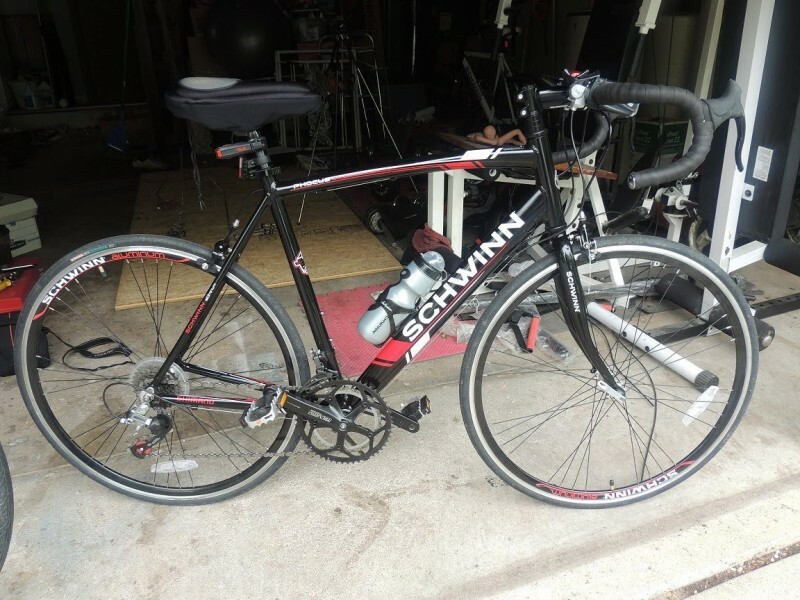 Many bikes of this caliber and price do not always provide such good quality components. So, this is a definite plus. The one real negative of this model is the brakes. Breaking is half of biking–and a crucial part of cycling. If you can’t stop, it can be too dangerous to bike. However, this is an easy fix–for around $10, you can buy a decent set of brakes. This is a very inexpensive upgrade and can increase the performance and quality of your bike instantly. The frame is in fantastic shape. While most manufacturers use aluminum frames to cut down on the price, Giordano’s lightweight aluminum frame is hand crafted and of excellent quality. All in all, the functionality of this road bike is excellent. Barring the poor brakes, this bike is ready to meet any challenges due to the better quality components and parts. 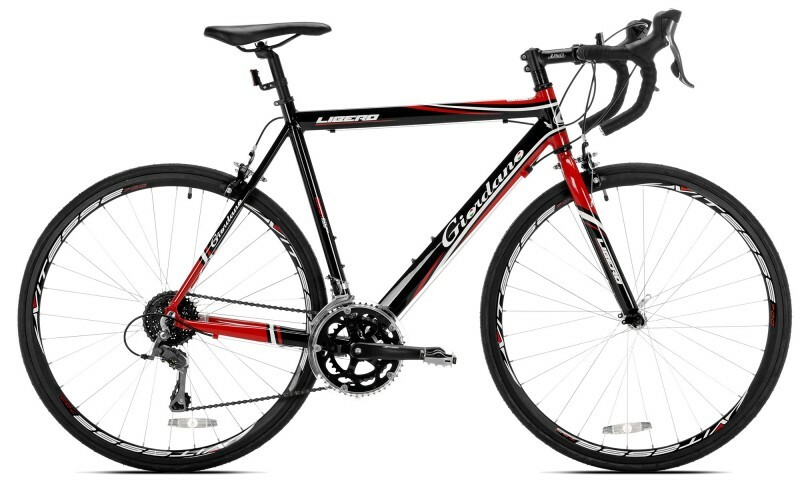 The Giordano Libero 1.6 Men’s 700c Road Bike is available on Amazon.com for only $449.99, plus free shipping. All three sizes (Small, Medium, and Large) cost the same amount, which is perfect for riders of the heights listed in the beginning of this review. To check out other road bike’s, prices, and reviews, see our full list of reviewed bikes. You can upgrade a ton of the component parts if you wish, in order to customize it to your preferences, and still save money compared to other bikes. It is important to take it to a local bike shop to finish assembly or at least for a tune up, to make sure it is put together correct and so it can become road ready. This will ensure that you get the best experience out of this bike without any assembly errors. 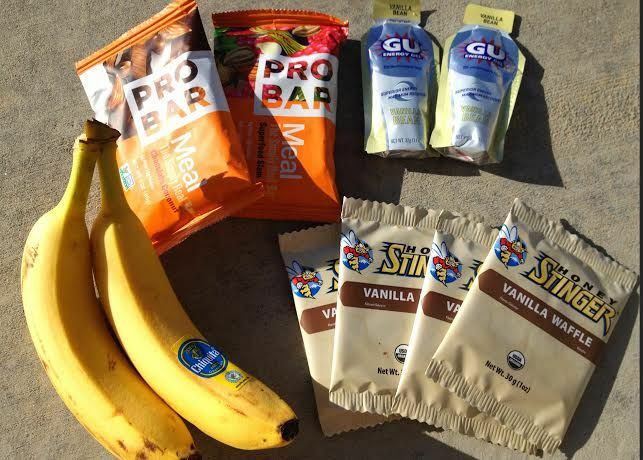 Read our article for the best bikes for beginners!